An interview with the duo behind super cool, fair trade jewellery brand, Puck Wanderlust • The Eco Edit. What inspired you to start Puck Wanderlust? The two of us met at work for a large fashion brand in 2007. We instantly hit it off, and throughout the next 8 years in various careers in the creative and fashion industries, remained loyal friends. In 2013, after a few too many glasses of wine, we were both perplexed that even in our successful careers; Hannah working for a creative agency and Ranelle as a session stylist, still felt frustrated and were struggling to find true meaning and fulfilment in the fast paced nature of what we were doing. This led us to rethink how we could make a difference. We knew we needed to give back and do something which had meaning – and we decided the way to do this was to start our own business!! Later that month, we visited frieze art fair together. Seeing a game changing exhibition called ‘Old Jewellery’ by Kara Hamilton. She was creating pieces from old bits of jewellery to create something new and beautiful. It was so inspirational how you could take something used and forgotten and turn it into something desirable again – giving it a new lease of life. This was when our interest in recycled materials in jewellery, and good quality product came to the forefront. We wanted to abolish the nature towards fast fashion, instead creating timeless pieces from sustainable sources. We’d like to think that as a nation we’re all a little more aware of this and would love to see people being more conscious of their purchases and brands being more transparent and responsible with who they are working with. I think we have a long way to go before it’s the norm, but in the meantime, we will keep doing what is true to us! With a strong connection to India through our travels – we knew this was the place we would find the talented craftsmen we wanted to work with, as well as the beautiful gemstones to craft with. The culture in India holds a special place in our hearts – there is a lot to be learned from these spiritually free and giving people. Can you tell us a little bit about the provenance of the materials and who makes the beautiful finished items? The gemstones we use in our designs are sourced from all over the world. India, Afghanistan, South Africa, Brazil, Mozambique. All the silver is recycled – which these days is common place, almost all silver is! As it is a precious metal it is always reused. Jaipur, is the jewellery and gemstone capital of the world. Our family team hand-cut and handcraft each piece. They’re seriously clever craftsmen who using their years of expertise passed down through generations, create each piece of Puck Jewellery. What kind of person wears Puck Wanderlust? Our customer base is really diverse. We want to be ageless and inclusive. We even get guys buying our power rings to wear on their pinkies, which is just amazing! A lady once got in touch as she was looking for a gift for her granddaughter. She wanted something special as it was her 21st birthday. A little while after she got back in touch and said she kept seeing the power ring on her granddaughter and wanted one for herself in a different stone! We like to think our customer feels confident in their own skin! Whether their round or square whatever they may be! We hope they’re bold and feel beautiful in and out, and that they shine! The main thing to remember is that it’s what’s inside that really counts – then you can always dress that up with a little glitter and gold! What are your favourite pieces in the current range? The Power Rings – it’s where we started and they are our signature piece. Our Moonstone rings haven’t left our fingers since we cast the original samples almost 3 years ago! What are your aspirations for the future of the brand? As well as loving gems and shiny things, we started Puck because we want to give something back. As India is where we develop our jewels, we thought this was a great place to start. There’s a huge movement happening in India at the moment, which encourages women into the workforce. The idea is to train women in different skill sets, who then work as master trainers for other women, causing a ripple effect. We’re currently investigating how we can get involved – watch this space! 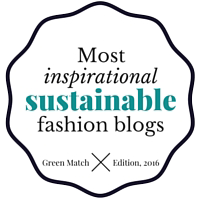 What is your favourite eco conscious brand or product? Hannah – There is a really cool brand called Sugru which is an Irish word meaning ‘play’ in English . It is basically a mouldable rubbery glue-like substance, which can fix anything from ipod cables to tent poles in -50 on a himalayan expedition. It embraces the idea to renew, mend and recycle, reduce waste – and the company is founded by a girl – which is just cool isn’t it. Ranelle – I work as a session stylist so i’m obsessed with good hair/skin products. There’s a Parisian heritage brand called Leonor Greyl that I can’t live without, all their ingredients are organic! They have a beauty oil called ‘Huile de Leonor Greyl’. You can use it as a pre-wash treatment, overnight treatment, on your skin, heat protector for your hair on holiday, I mean the list goes on – the smells too, need I say anymore! Thankyou so much girls! To check out the range visit puckwanderlust.com. Finally, as a special treat Hannah and Ranelle have also shared their favourite smoothie recipe with us, check it out below… It sounds amazing! This is a delicious breakfast smoothie with added tumeric; the Indian superherb with marvellous benefits for fighting off colds and a general immune system boost!! Peel the banana and place in a blender with the almond milk, agave syrup and tumeric. Serve in tall glasses, with the remaining passion fruit pulp spooned over the top. The necklaces look beautiful and have a trendy look to it.